These look awesome! 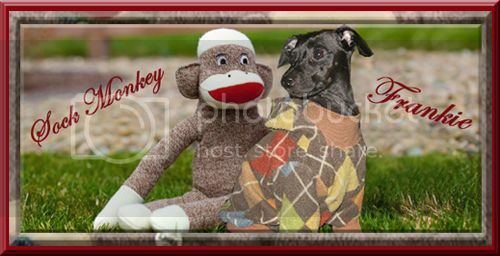 - K9 Closet - "IG Whispers" Italian Greyhound Forums! - Heather in Kansas, married to Chris, and proud mama to Shelter dog, Brownie(100% mutt)07/02/02, Rescue kitty, Lucy(100% CAT)11/02/01, and Rescue dog, Frankie(50%Italian Greyhound, 50%Min Pin)09/12/08. ALL of them 100% spoiled rotten and loved unconditionally!! Interests:Playing with my IG and cat, travel, reading, volunteering with IG rescue, cooking. I am a Spanish teacher and head of the foreign language department at a 1600 student public high school in Wichita. I saw these today, I am sure I need them for my gang, lol! With Karen, Eric, and Spike the cat in Maize, Kansas. Jet, waiting at the Rainbow Bridge since 11/26/13. I love you, little man! I think they look great, too, Heather! Interests:Hanging with my Iggy. Making Snoods, Belly bands, and collars. Volunteering at my local shelter! as i opened the link i thought "oh crap something im going to NEED to buy"
I'm not seeing the link for stockings? I went to the website and must of missed it there too? We got stockings from Holly at www.Brother2Bother.com They are awesome!!! Thanks Holly!! !